The school at NTPC township in Korba district asked students writing the Hindi language exam to write in their own words how two friends might converse about Blue Whale. RAIPUR: Even as the police in several parts of the country issue advisories warning on Blue Whale Challenge, a Delhi Public School branch in Korba included a question about the online game in its half-yearly exam for class IX students. The DPS school at NTPC township in Korba district asked students writing the Hindi language exam to write in their own words (50) how two friends might converse about Blue Whale. The question has raised eyebrows among parents and eduction authorities. "Framing such question for students is an open violation of safeguards that we have been advocating. We will seek an explanation from the school," said D K Kaushik, the Korba district education officer. "The school needs to be cautious," said a senior officer, not willing to be identified, whose children study in the same school. However, psychologists and academicians find nothing wrong about such question being asked of students. "It's fine if the children are asked about how they perceive the things around them. It allows us to read their perceptions. It can be a good starting point for counselling and generating awareness. 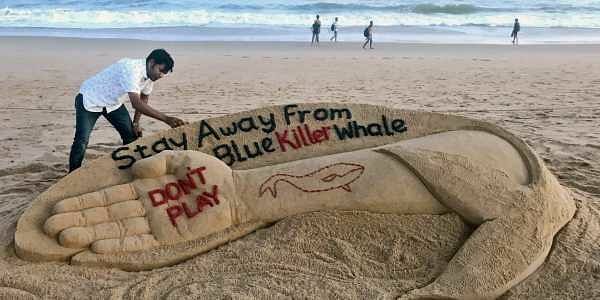 We need to handle the Blue Whale Challenge differently," said educationist Jawahar Surisetti. The school's principal Satish Sharma didn't respond to telephone calls and messages sent to him for his comments. Delhi Public School established a branch at Korba in 1985.